If you are a homeowner, your roof might be one of the most important upgrades and investments you’ll make in your home. However, you may be unsure when it is time to install a new roof. Knowing the signs of an aged or unsafe roof are important because a failing roof can cause costly damages to your home. Here are 5 tips to tell you if your roof needs to be replaced. Knowing a roof’s age is important, however, it is often overlooked or even unknown if it was replaced by a previous owner. Depending on materials used, roofs can last for varying amounts of time. Many homes all over the country have shingle roofs, which roughly last 20 years. 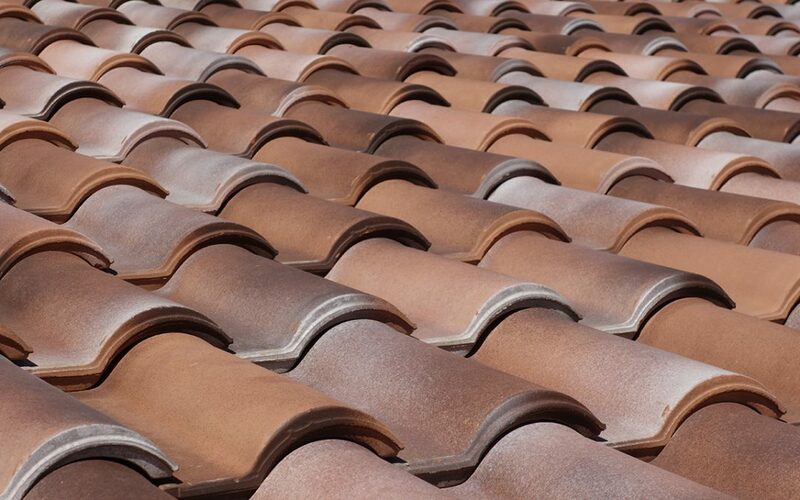 Tile roofs, which are particularly common in the Southwest, can last up to 50 years, but often the felt beneath the tiles needs to be replaced before it reaches that age. Your roof needs to be replaced if you have spent a considerable amount of money and time repairing it and it is continually giving you problems. You can be sure that the following questions will be asked of a prospective buyer: What condition is the roof in? When was the last time the roof was replaced? Selling your home will be more difficult with an old roof that’s in poor shape since there could be moisture intrusion and structural damage. Having a newer roof will be important to get the most value from your home. If you plan to sell your home, it is possible that your roof needs to be replaced to get the full asking price for your home and spend less time on the market. Sometimes it might be difficult to pinpoint signs of a distressed roof. However, you should take into consideration the visible signs of a roof in poor condition. Warped or Cracked Shingles: This commonly occurs as roofs get older and increase the likelihood of leaking. Missing or Rotting Shingles: If you are missing shingles or they are below average quality, your home is at risk. Knowing that replacing your roof might be necessary isn’t just about examining outside of the roof. Water damage inside your home in the attic or on the ceiling could be an indicator of a roof leak. Discoloration on your ceiling and walls is also something to look out for. Water leaking into your home puts you at risk for mold, which can damage your home and be hazardous to your family’s health. If you notice an increase in your energy bill, it may be time for a new roof. Older roofs may be challenged to withstand some of the harsh elements, such as wind, direct sunlight, ice, and snow. You will save yourself money on your energy bills with a newer roof. Knowing when it is time for a new roof can be a hard decision to make. Consult a professional home inspector to help you make the best choice for your home. Kelleher Home Inspections offers inspection services including drone roof inspections to Greater Las Vegas. Click here to request an appointment.